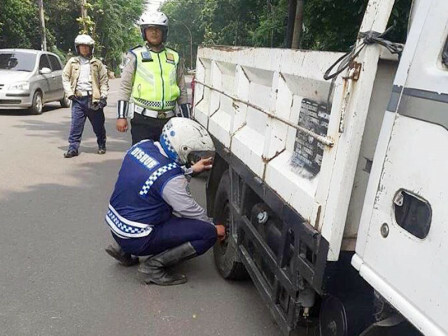 It is noted that around 8,734 vehicles have been netted in South Jakarta last year.
" Throughout 2018, we've controlled 8,734 vehicles during Lintas Jaya operation "
628 out of them are public transport vehicles. South Jakarta Transportation Sub-dept. Head, Christianto said that the raid operation was focused on illegal parking, incomplete documents, unroadworthy vehicles, and trajectory violation. "Throughout 2018, we've controlled 8,734 vehicles during Lintas Jaya operation that involved police, army Satpol PP, and related stakeholders," he expressed, Friday (1/4). In details, 3,095 vehicles are towed, 628 public transports' operation are stopped, 2,265 vehicles are ticketed. "462 four-wheeled vehicles and 1,284 two-wheeled vehicles are flattened," he stated.